I'm very excited to post about a terrific book by a wonderful author! Texting Through Time: John Taylor and the Mystery Puzzle is the second Texting Through Time book by Christy Monson. They are in the vein of the Magic Tree House books that are so popular among young readers. I know my three children (two 7-year-old boys, and one 10-year-old girl) are going to love this book, and it was a quick and fun read for me, as well! Micah and Alicia's father has created a time traveling cell phone, and in this installment, they travel through time to various events in the life of John Taylor. I loved the accurate historical details, as well as the way some serious questions (like 'Why does God allow bad things to happen?' and 'Does Heavenly Father love me even when I make a mistake?') were addressed in a simple and sincere way without slowing the story down. I even learned a few things about the life of John Taylor as Micah and Alicia tried to solve the mystery puzzle that would allow them to return home. This book would make a terrific Christmas gift for the young readers in your life! Plus, if you order your copy TODAY from Amazon or Barnes and Noble and then go leave a comment on one of Christy's web sites listed below, you'll be entered into a drawing for a $25 Amazon Gift Certificate! Also, for any of my northern Utah readers who would like to meet Christy (and you really do want to meet her, she's great) the official launch party will be held on Friday, November 23 at the Ogden Temple Deseret Book from 2:00 - 3:30 pm. I'm excited to share with you a book that I had the opportunity to read. It's called Open Adoption, Open Heart by Russell Elkins. Russell sent me an e-mail the other day, and he was gracious enough to give me an e-copy of his book to read. This is a non-fiction book that tells the true story of Russell and his wife Jammie's first (of two) open adoptions. The story is told matter-of-factly and accurately portrays the adoption process. It doesn't dive too deeply into the emotions, and could be a good source of information for someone interested in pursuing an open adoption. I'm excited to get to know Russell and Jammie better, and look forward to reading more of their stories in the future. Once Upon A Baby Winner!!! Congratulations to Sunny! 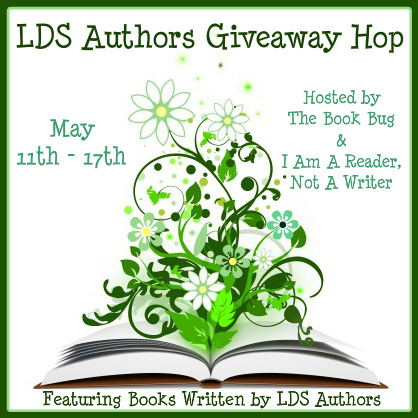 Using random.org, you are the winner of the signed copy of Once Upon A Baby~An LDS Adoption Story! I'll get an e-mail out to you shortly!!! I was contacted a while ago by a wonderful mom named Shari Guess whose son joined their family through adoption. She's written a sweet book for young children about LDS adoption, and I had the opportunity to read it. She provided a copy for me and my children (Thanks, Shari!!! ), as well as a signed copy to give away. So, if you'd like to win your very own copy, just leave a comment on this post, and you're entered! I'll announce the winner by 8:00 am on Monday morning (July 9th). Meanwhile, check out the book's web page: www.OnceUponABabyBook.com or find it on Facebook. A great big thank you to all of you who entered the drawing for a signed copy of Delivering Hope! Using random.org, the winner is......... Cindy! I'll send you an e-mail right after I post this. If you didn't win, never fear, Delivering Hope is available in stores and online at Seagull Book, Deseret Book, Barnes and Noble (including nook), and Amazon (including Kindle). Thanks again for stopping by! Happy Reading!!!! I'm excited to be a part of this giveaway hop! I'm featuring my first novel, Delivering Hope, which has only been out a few months and is doing really well! The Deseret News says, "Sensitive ... honest ... Delivering Hope is a must-read ... an inspiring book that delivers on its name." Olivia Spencer wants to be a mom more than anything else in the world, but years of infertility have wounded her soul and strained her marriage. As the lives of these women touch, we see that deep love can pave the way for sacrifice, and we learn the true source of hope, healing, and joy. Then hop on over to the other blogs on the list to enter their drawings as well! Good luck and have fun! "Jacey Grayson is an average, young, divorced mother struggling to build a new life for her son, Blaze. But when the FBI discloses some disturbing information about her ex-husband, Jacey's life becomes anything but average. At the risk of losing her identity, her future, and her heart, Jacey and Blaze flee to Utah, hoping to hide and start over once again. But no matter how far she runs or who she pretends to be, her past is always lurking nearby, bring old fears with it." I liked this book. I grew up in a small farming community, and I could really relate with Mandi's descriptions of small town life. She did a great job on those! The Alias was a fun mystery with a love story in the background which I found surprisingly tender (that was my favorite part!). As part of her blog tour, Mandi is giving away an e-copy of The Alias. To enter, just click on over to her blog at www.mandislack.blogspot.com and leave a comment and your e-mail address. Or you can purchase your own hard copy or Kindle copy on Amazon. 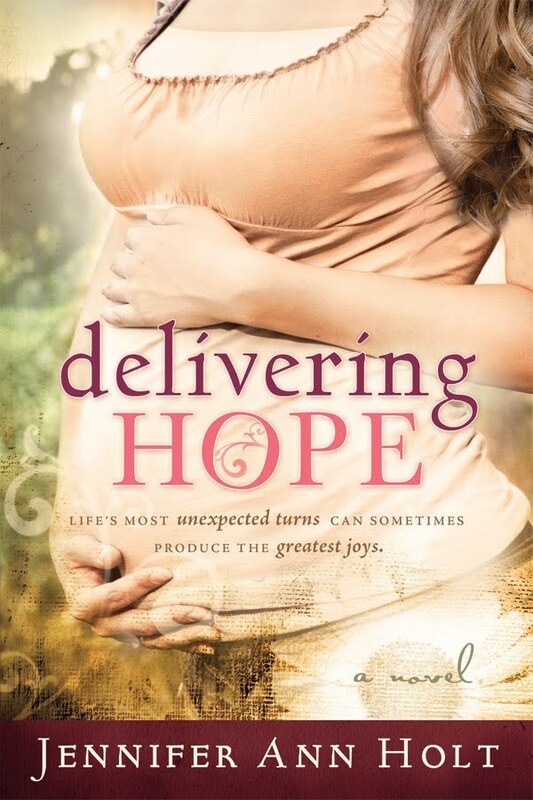 I'd like to welcome everyone to my Delivering Hope blog tour running January 23 - February 10! If you are new to my blog, look around, and leave a comment to be entered into the drawing at the end of the tour for signed copies of Delivering Hope, as well as some bookmarks and magnets. Check out the "Blog Tour" tab for a complete list of the fabulous blogs that are involved, and all the ways you can enter the drawing. Meanwhile, I've added links to some of my favorite posts for you to look through. Thanks for stopping by!